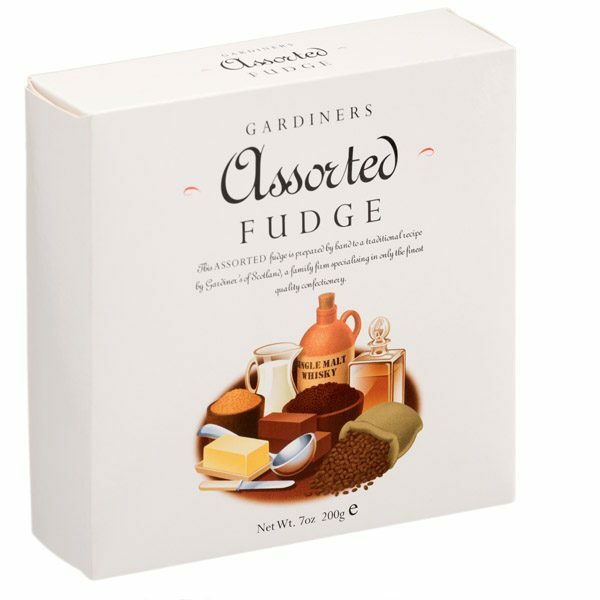 An assorted selection of fudge prepared by hand to a traditional recipe by Gardiner's, a family firm specialising in only the finest quality fudge confectionery. 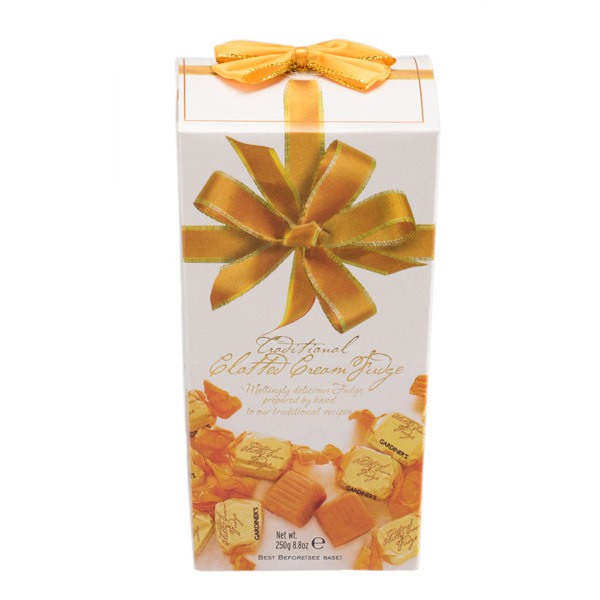 Our assorted fudge is made of delicious vanilla, smooth whisky, wonderful rum & raison and sweet chocolate. 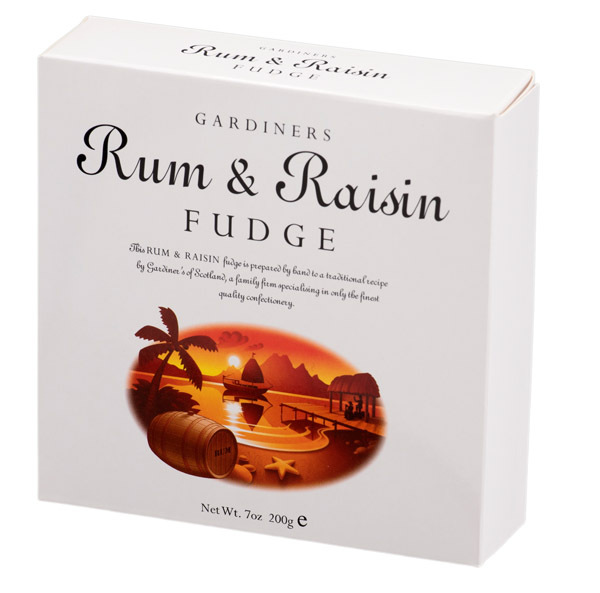 The perfect gift for someone who loves the meltingly delicious flavours of Fudge. Ingredients : Sugar, Glucose Syrup, Sweetened Condensed Skimmed Milk, Palm Oil*, Raisins (7%), Chocolate (4.5%), Butter (Milk), Cocoa Powder, Flavourings: Coffee Flavouring, Vanilla Flavouring, Jamaican Rum, Malt Whisky, Salt, Emulsifier : E322.